Aging is a process we all have to go through, bringing a number of changes, which can be quite discomforting. One of the main changes brought on by the aging process is weight gain; as our metabolism slows down, we tend to gain more weight and, thus, suffer from additional health problems. When it comes to your daily diet, if you want to maintain a healthy weight, it is recommended to up your protein intake. An increased intake of proteins will prevent the loss of muscular mass and help you stay fit at the same time. From a certain age, the signs of aging become more and more obvious. Fine lines and wrinkles, under eyes bags and puffiness – these are just three of the most common problems you have to deal with on a daily basis. Add to that the loss of muscle mass and the weight gain; you have obtained the perfect recipe for disaster. But, before you despair, pay a little bit of attention to your diet. According to the latest research, to stay fit and look young, you need to consume more proteins and not less, as it was previously believed. The most important thing to remember is that you need to eat proteins from high-quality sources. These can help you maintain an excellent state of health, without any muscle loss whatsoever. Moreover, a protein-based diet can help you improve the overall appearance of the skin, with neck and chest wrinkles becoming less visible over time. If you are over 40, then you need to consume approximately 0.75 grams of proteins for each kilogram of your bodyweight (daily recommended amount). As for the best sources of proteins, these include lean meat, eggs, soy, nuts, and seeds. After the age of 65, interestingly enough, the requirement for proteins increases, so you should consume around 1, 2 grams of proteins/kilo. Nutritionists recommend that each meal should include a little bit of protein; moreover, the snack time represents an excellent time to consume more proteins. Healthy protein snacks can include anything from nut butter on celery sticks, a handful of nuts (walnuts, almonds, and cashews), beef jerky, trail mix and pumpkin seeds. You can also consume protein shakes, protein bars, yogurt, granola, and cheeses. Always try to opt for high-quality protein sources, as these have the most benefits to offer. According to a study published by the National Institute on Aging, a higher protein intake in older age can be highly efficient in preventing the loss of muscle mass. A protein-based diet is more than recommended for older adults, with the recommendation being made for 20-30 grams of proteins with each meal. It is also recommended that each of the three main meals of the day contains proteins; snacks, protein shakes, and supplements can satisfy the increased needs for proteins as well. Why is it so important to consume more proteins in older age? As a study published in Nutrients pointed out, the loss of muscle mass is one of the main reasons that affect the overall quality of life for most people. Moreover, in combination with the loss of strength, it increases the rates of morbidity and mortality in the general population. The study confirmed that an increased intake of proteins, combined with weekly physical exercise, could be used to reduce the muscle mass loss caused by the aging process. The composition of our bodies changes as we become older and we need to be aware of this for a fact. According to a study published in The Journal of the American College of Nutrition, it is more difficult for older adults to get their necessary intake of proteins (mainly due to the lack of appetite and additional health problems). The authors of the study recommended proteins to be consumed from animal sources; their recommendations included red meat, poultry, and seafood. Eggs can also be consumed as an excellent source of protein, representing the perfect choice for a healthy breakfast. While we cannot stop the aging process, this does not mean we cannot fight to maintain an excellent state of health as we age. 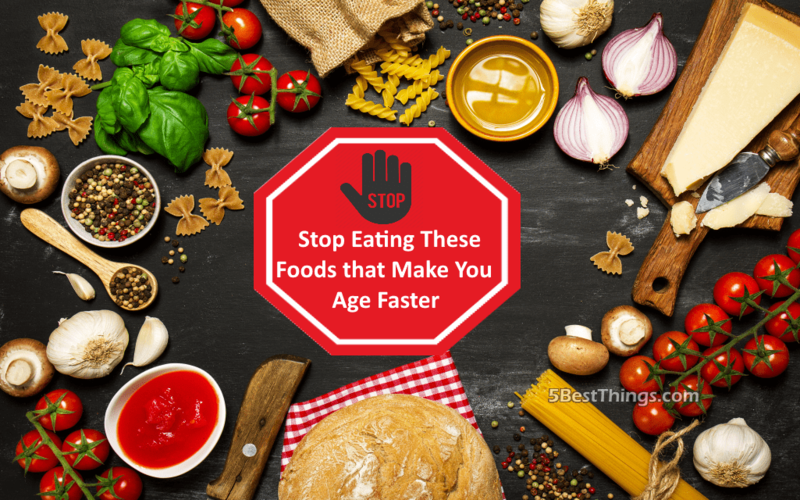 As you have seen, the demand for protein increases with age, so you need to re-organize your diet and make sure that you consume proteins with each meal. Keep in mind that a protein-based diet will also help you maintain the youthful appearance of the skin. About such matter, you can use anti-aging products, such as Bella Serata Cream. This skin care & eye serum contains natural ingredients, being able to minimize common signs of aging, such as fine lines and wrinkles.